Eva Sonaike, inspired by her German upbringing and Nigerian origins, specialises in contemporary African fashion and textiles. She places great importance on hand finishing, distinct designs and high-quality manufacturing. Regularly featured in high-end media coverage of products with luxury African, tribal and ethnic designs, the Sonaike brand is also stocked worldwide in prestigious stores including London, New York and Hong Kong. 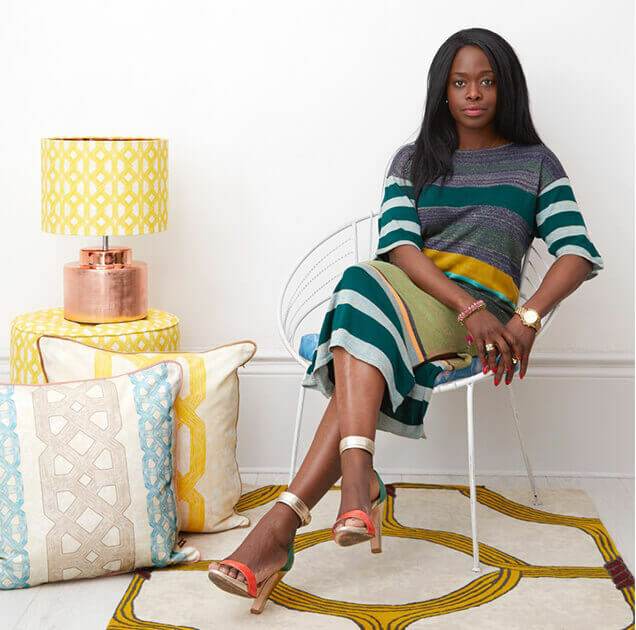 Inspired by childhood memories and her passion for the beauty, history and traditions of West Africa and Europe, Sonaike uses vivacious textures and colours combined with her own unique, contemporary twist – because life is always better with colour!